Dated 2007. Acrylic on masonite. Unusual 16" x 20" size and mounted by the artist in a found red frame rather than her usual barn board frame. 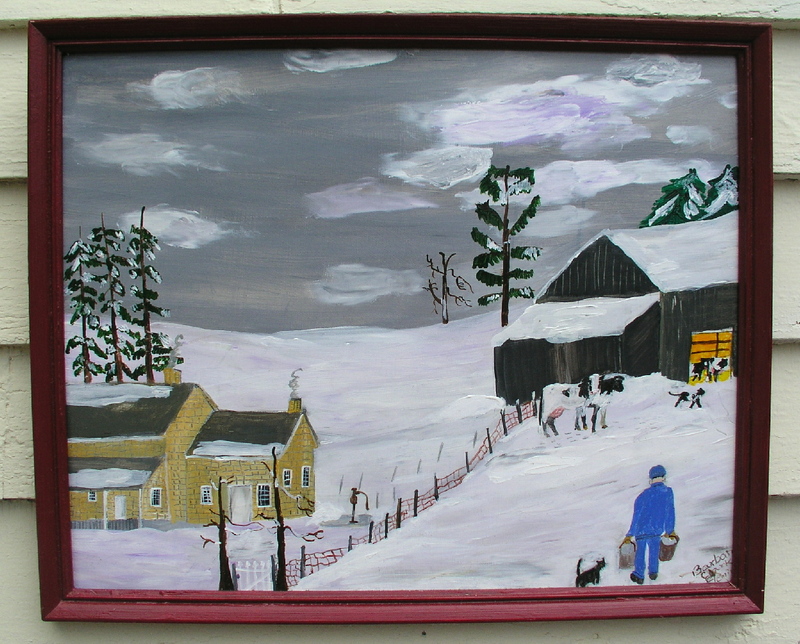 Depicts early winter morning trip to the barn for chores. Warm light from barn in sharp contrast to the cold grays and whites.